Unlimit has announced the launch of Unlimit Tracksuite of Offering, an all-inclusive solution to track, secure, analyse, and ensure productivity of vehicle fleets, cargo and warehouses. It addresses some of the key challenges faced in the supply chain industry by providing increased efficiency, improved sustainability, lower costs, and compliance of standards and regulations. Among its key features are end-to-end vehicle tracking, monitoring of driving behaviour, maintenance of temperature and security. The transportation and logistics sector is witnessing largescale digital innovation. According to the report ‘Logistics Market in India 2015-2020’ by market researcher Novonous, the logistics industry in India is pegged at $300 billion, and is expected to grow at a CAGR of 12.17 per cent by 2020. About 90 per cent of trucks in India belong to single-truck owners, which makes the sector ripe for digital connectivity and aggregation platforms. “Typically, the transport and logistics sector work efficiently if connectivity, scheduling, compliance and security are well aligned – and this is exactly what “Unlimit Tracksuite of Offering” does. The industry is currently experiencing a transformative phase and we believe this is the right time to introduce our disruptive solution. The improved asset tracking, safety, efficiency, and insights that this solution delivers will allow scalable, trusted and secure exchange of information. The Unlimit team is constantly innovating, researching and building newer ways to enable enterprises to effectively engage with their customers,” explained Mr Jürgen Hase, CEO, Unlimit. UNLIMIT Tracklite solution enables tracking large consignments and individual packages within the consignment. The solution is composed of portable, rugged, wireless tracking devices equipped with long-life batteries for extended operations. The solution captures real-time data on Unlimit’s cloud-IoT platform. UNLIMIT Tracksense solution enables tracking cold-chain fleet on which the cooling systems are installed. The solution helps in remotely monitoring the temperature, humidity and other parameters as per the defined rules. UNLIMIT Trackfleet solution is one of a kind, from instant-install On-Board Diagnostics (OBD) plug-in devices to cloud-based software designed with smartphone apps in mind. The fleet tracking solution will benefit the customers by deriving meaningful insights on safety and efficiency. UNLIMIT Tracksure solution provides end-to-end tracking from the moment the high value assets leave the warehouse to the time the asset reaches its destination. The solution comes in compact size for easy fitment and comes with a user-friendly platform for monitoring. 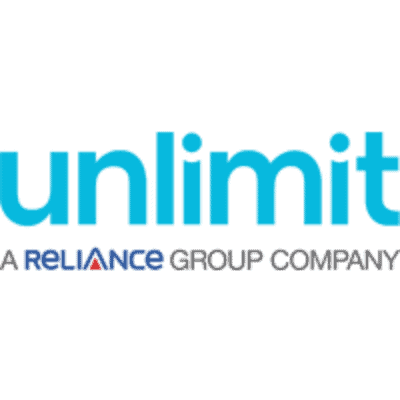 Since 2016, Unlimit has excelled in providing a unique environment to its customers, giving the end-organization an opportunity to pilot emerging IoT solutions in a live retail scenario along with a sturdy growth. Unlimit’s digital solution to improve transport efficiency, profitability, and compliance 0 out of 5 based on 0 ratings. 0 user reviews.